Buy Naruto Shippuden: Ultimate Ninja Storm Legacy for PS4 in India at the best price. Screenshots, videos, reviews available. 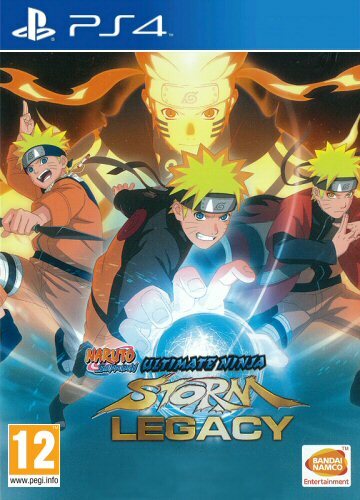 Naruto Shippuden: Ultimate Ninja Storm Legacy collects all four games (Naruto Shippuden: Ultimate Ninja Storm 1, Naruto Shippuden: Ultimate Ninja Storm 2, Naruto Shippuden: Ultimate Ninja Storm 3 Full Burst and Naruto Shippuden: Ultimate Ninja Storm 4 Road to Boruto) into one epic remastered compilation. The set also includes an Exclusive Metal Case, Naruto Art Book, and Bonus Anime Disc, making this the perfect addition for any fan of the Naruto series. Rediscover the Naruto story, in its entirety! From the rejected child to the respected hokage, Naruto has grown up fighting against a host of enemies. Once again, take part into those thrilling battles alongside your favourite characters before passing the torch to the new generation!